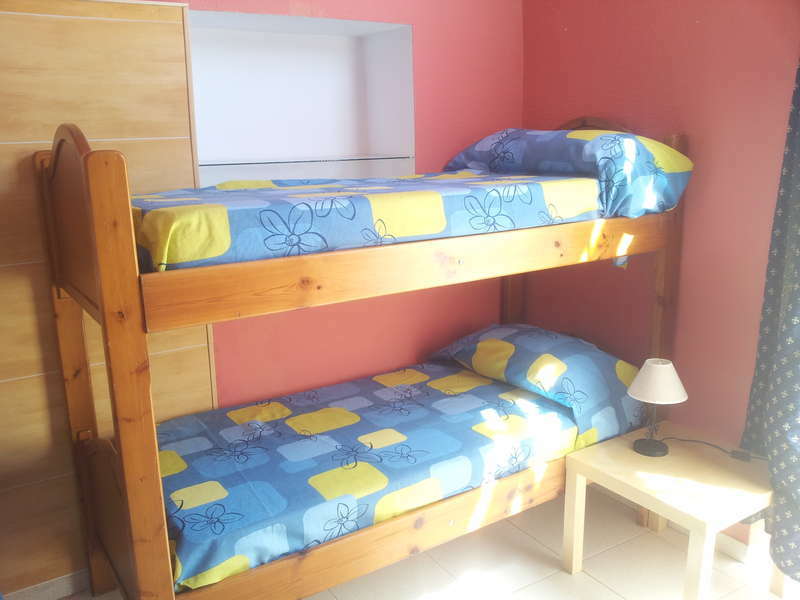 The Malaga Beach and Center Backpackers will transport you to a world of warmth and serenity. With us you will really feel at home because we will treat you as part of a big family. 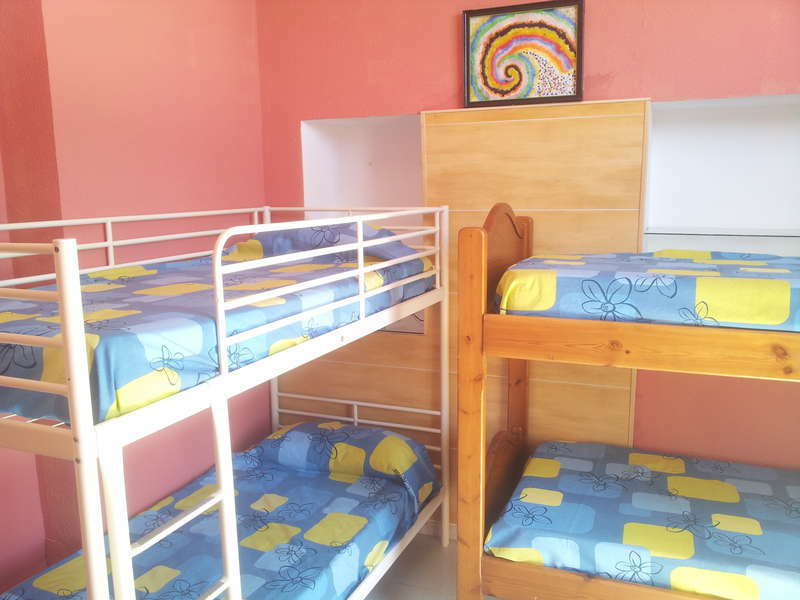 You will immediately notice that our hostel is much more a house than just a hostel. After our warm welcome with a glass of cold Sangria you will be surprised by the breathtaking view of the sea and the hills from our sun terrace. You can also enjoy a delicious barbecue there too. One minute walk from a blue flag beach with crystal clear waters, surrounded by tropical palm trees, and just a short walk from the center of the city. So it's an ideal base to see the city and also to explore the area in one day trips to Nerja, Marbella, Ronda or other cities nearby. The house has a fully-equipped kitchen and a large common room with 4 sofas for your comfort where you can watch movies or meet other travelers. You can see the sea and the hills around from all rooms and even from the toilets. With us you can enjoy the most reliable and High Speed Internet connection in Spain (300 Mbps download and over 30 Mbps for upload). Wi-Fi is available for free in the whole property - including our terrace. So let yourself go and experience the delicate mist of the warm sea as it crashes on the warm and soothing sand. At the airport you have a very convenient bus that drops you in the city center, you should get off at the last stop - Plaza Torrijos- from there you can walk for about 6 minutes or pay about 3 Euros for a taxi. Also right at the airport you can take a train which drops you in the Maria Zambrano Central Station in only 10 minutes. It runs every 20 minutes and costs only 1.80 Euros. A taxi from the Airport to the hostel will normally charge you 19 Euros. The bus stop is about 1 minute away from the main bus station, and it costs 1.30 Euro. Take the exit Heroe de Solstoa, walk right, take the first left until Ayala Street and there you will find bus 3 (or bus N1 at night time). You should get off at the stop Monte Sancha. Then walk in the same direction as the bus, take the first left and you will find the hostel on the left, Paseo Salvador Rueda, 9.If you decide to walk it will take you about 30 minutes. A taxi will normally charge you 7 Euros. If a cancellation is made at least three days before your scheduled arrival, there are no costs involved. Otherwise, an amount equal to the price of first night booked will be charged directly to your card.